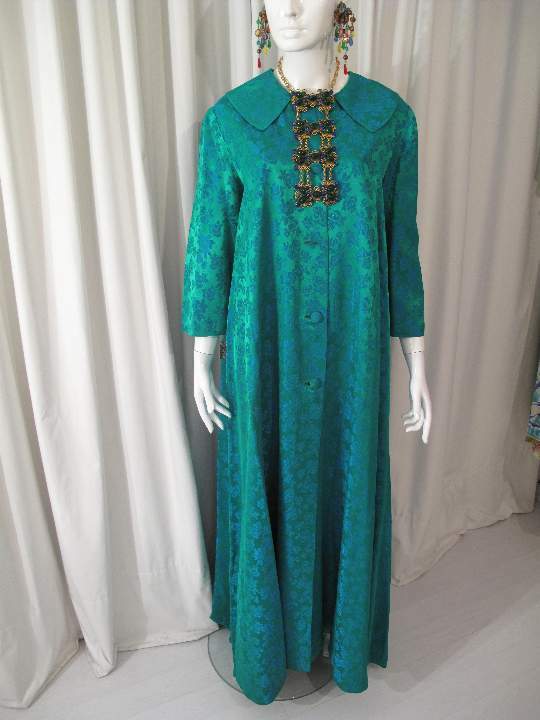 1950's Full length satin brocade vintage evening coat. "Bring back the evening coat", is our fashion tip mantra. This garment was popular in the 50's and 60's and when you think about it, it's such a fab idea. A glamourous garment to make your entrance in and keep you warm on your journey, then you discard it at the coat check and ' party on' , in whatever's underneath, whether it be a cocktail dress or jeans and a tee! 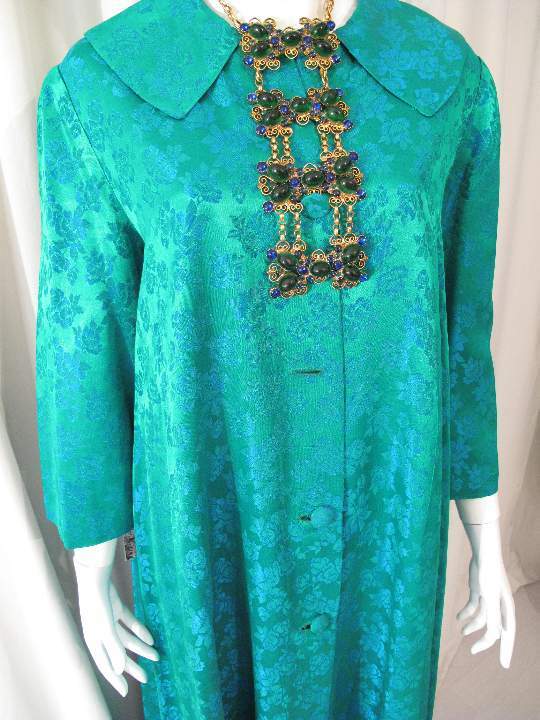 The coat is in a vibrant emerald green satin with turquoise jaquard roses and leaves allover. 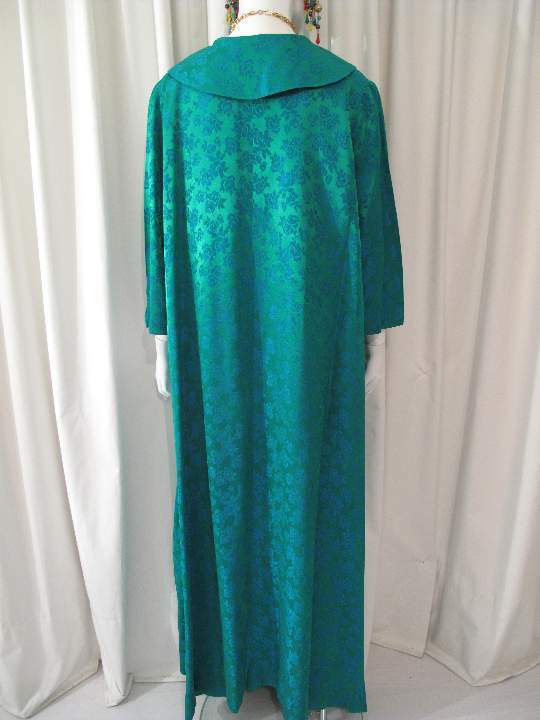 It has wide 3/4 length sleeves, a large one piece shirt collar and is circular cut with full swing back, and is full length. The coat is fully lined. As we said earlier, how many times have you put on your fave glam dress, to then have to put on your everyday coat or mac, spoiling the illusion - this is the answer! 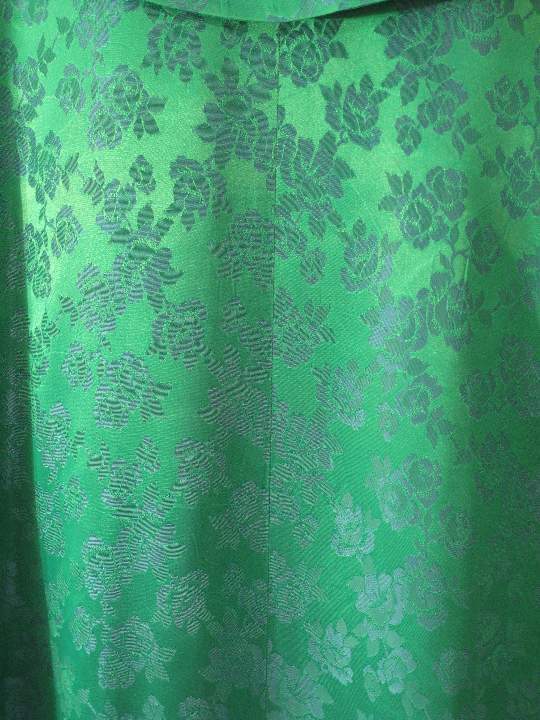 Pictures do not do the colour justice, it has a two tone effect , which is why one of the photos is greener than the others. Necklace not included,.... see jewellery section below. 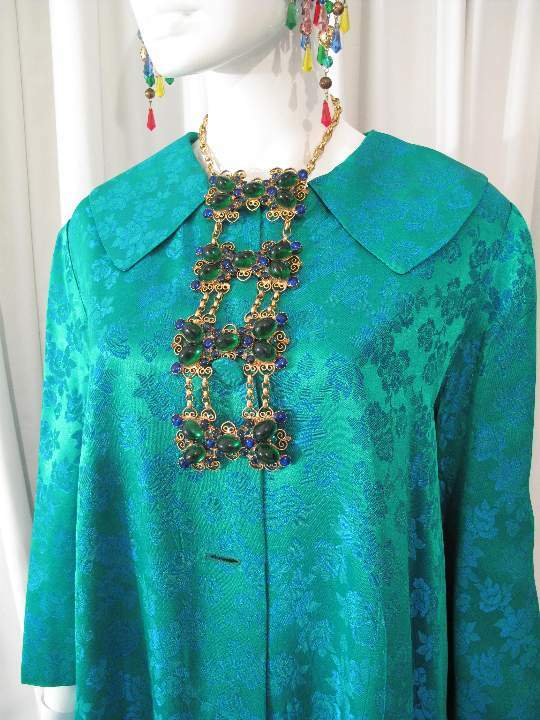 1960's Emerald and sapphire coloured vintage collar/brooch ensemble **SOLD**.